A Good Employee’s comprehensive education verification check helps prevent the negligent hiring of unqualified individuals. Our staff will contact an educational institution to verify an individual’s provided education credentials. The education background check provides the information about the subject’s school, college, or university and verifies those items with the educational institution. 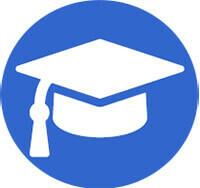 We verify dates of attendance, degree(s) or credential(s) received, and if any honors were attached to the degree. Upon request, A Good Employee can also verify professional certificates in over 100 industries. Why conduct an education verification for employment? People’s claims about where they have been enrolled and the fact that they graduated are important criteria in determining their suitability for your organization, as well as their trustworthiness. It is not uncommon for job applicants to misstate or embellish their education credentials, commonly known as resume padding. Next to a criminal record search, education verification services rank as one of the easiest methods to reduce the risk of bad hiring decisions. Using A Good Employee makes an education verification for employment much easier on you. The amount of time it can take to collect the necessary information for multiple applicants can be a headache. In addition, our experience with providing education verification services will ensure you get accurate information quickly. How long does it take to process an educational background check? A Good Employee’s trained staff will attempt to contact the school within 24 hours of placing your order. Some schools may require additional documentation or fees to release transcript information. Depending on the school this could take anywhere from 2-7 business days. Our staff will make every attempt to collect the information for the education verification as quickly as possible.